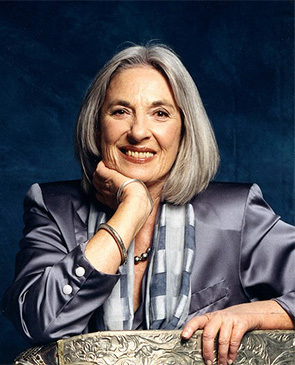 Betty Churcher is synonymous with art in Australia. Best known as the Director of the National Gallery of Australia (1990 to 1997), Betty has been passionate about art for most of her life. As a seven-year-old child she was taken to the then National Gallery of Queensland where she discovered that paintings took her on a magic carpet ride. Betty’s determination to be an artist took her to London, graduating from the Royal College of Art, and winning the drawing prize. Betty became an inspirational educator and inspired gallery director, determined to foster an appreciation of the transformative power of art. Betty has been a role model for women: she was the first woman to head a tertiary institution (Dean of School of Art and Design, Phillip Institute of Technology, now RMIT), the first female director of a state art gallery (Art Gallery of WA) and the first female director of the National Gallery of Australia. A gifted communicator, Betty has used her talent to make art relevant and accessible to the community through blockbuster exhibitions, her television shows and published works. Despite her failing eyesight, Betty recently published Notebooks which features Betty’s own drawings of her favourite paintings.